Editor’s note: This article was updated on 2/4 with an official press release. I posted it in the comments section of this article. Acme Hospitality, a seasoned food-and-beverage operator that helped create a burgeoning food, wine and art district in Santa Barbara, has been brought onboard to help with the renovation of the National and Holbrooke hotels, Sierra Foothills Report has learned. “Both projects are making great progress,” said Sherry Villanueva, co-owner and managing partner at Acme Hospitality, in an interview. 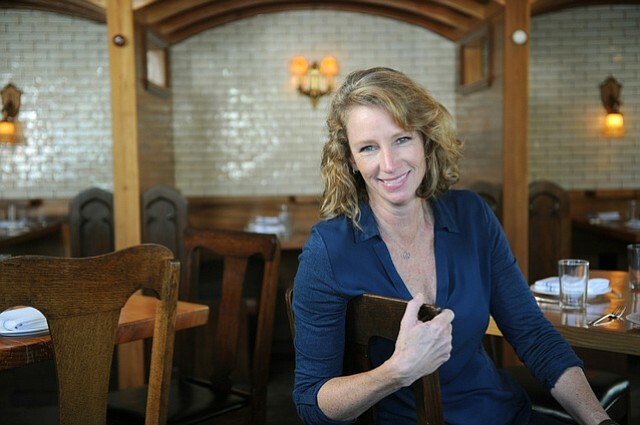 The hospitality firm owns seven restaurants and a hotel in Santa Barbara, she said. Designer Jordan Fife is expected to continue scouting out hotels that would be well suited to acquisition and refurbishment, as he did with the National in Nevada City and Holbrooke in Grass Valley, Villanueva said. She continued: “Eastern Real Estate needed an operator that could look at the operational flow of these properties. We have a proven track record and only the best intentions.” Eastern Real Estate, with offices in Boston and Santa Barbara, had collaborated with Fife on the National and Holbrooke. Villanueva promised “my priority is to get the renovations done as quickly as possible,” working in concert with the cities of Grass Valley and Nevada City building departments and local contractors and tradespeople. The owners are sensitive to the Holbrooke’s claim as the “oldest continually operating” saloon in the West, so pop-up events are planned, she said. Acme Hospitality has won praise for its projects. The Santa Barbara arts district, affectionately known as the Funk Zone, is “the work of prolific Santa Barbara restaurant group Acme Hospitality,” according to L.A. Eater. “They’re the ones behind popular places like the Lark, Lucky Penny, casual Spanish mainstay Loquita, and more than a few other wine and bakery tenants across the Funk Zone. Beyond work, Villanueva has made philanthropy a priority, according to Noozhawk.com. She volunteers on several nonprofit boards and takes service trips around the world with her family. Her husband and two daughters have completed over 30 service trips together to places in Mexico, Guatemala, El Salvador, Bolivia and Zambia. Villanueva graduated from UC Berkeley in 1984.